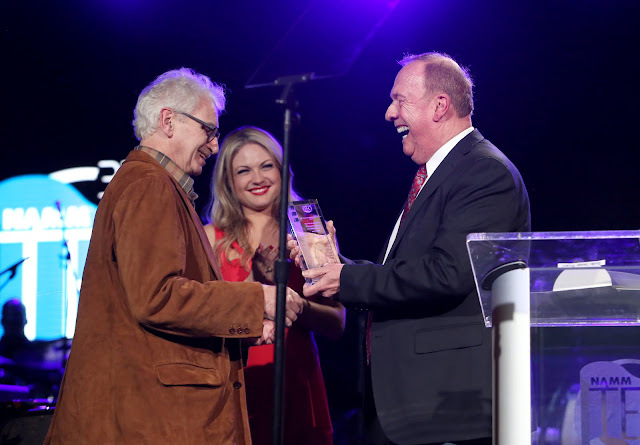 Anaheim, Calif., (Jan. 21, 2017) – Winners in 31 technical and creative achievement categories were announced at the 32nd Annual NAMM TEC AWARDS, presented annually by the NAMM Foundation and held January 21 in Anaheim, CA. 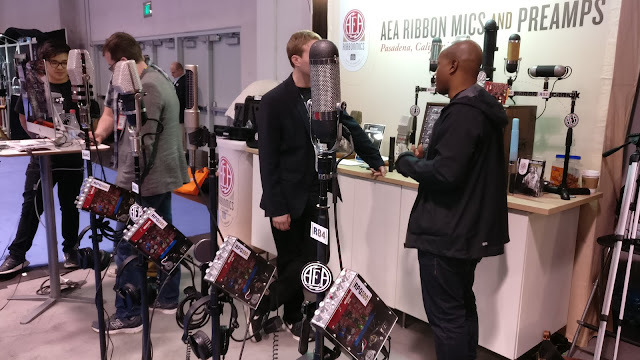 The annual event celebrates the best in professional audio and sound production and is held during The NAMM Show, the world’s leading global music industry trade event. 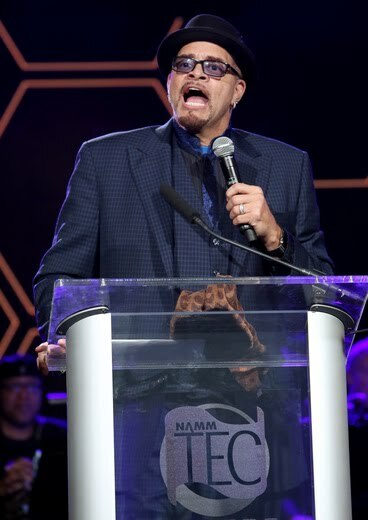 Comedian Sinbad returned to host for the third time. Here is the lineup for LIB 2017 beginning May 24th! Los Angeles, CA: Do LaB has just announced the lineup for the twelfth edition of the Lightning in a Bottle Arts & Music Festival, taking place Memorial Day Weekend, May 24th to May 29th at San Antonio Recreation Area in Bradley, CA. The announcement continues the festival’s tradition of serving up unique and trendsetting lineups that have helped sell out LIB tickets the last 2 years in a row as well as offer a preview of up-and-comers that will be headlining festivals around the country in the years ahead. 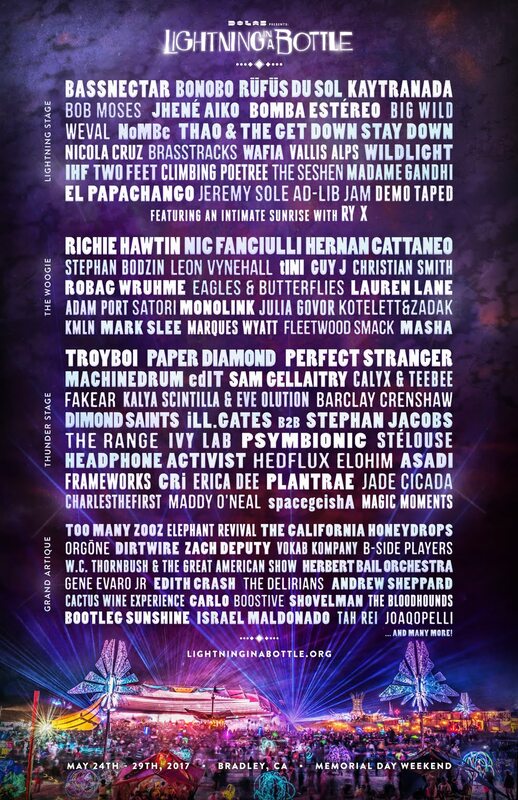 In addition, this year’s lineup is a carefully crafted complement to the community spirit of the multi-faceted festival where participants gather to learn about environmental stewardship, elevate cultural awareness and unleash art across the landscape - all to the rhythm of multiple internationally acclaimed dance music stages. 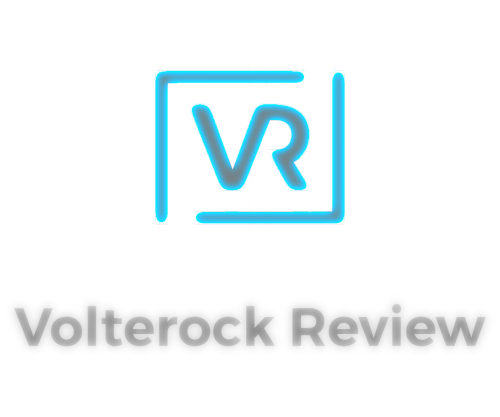 With plenty of new subscribers the feature requests came flooding in, we sifted and sorted the most popular and set about creating a new pack that would allow a user to manipulate their own images by feeding them audio. As ever we could let the demo video do the talking but it's worth mentioning this time that the video above is also the promotional video for a groundbreaking Ableton Live collaboration project entitled the Collab Alliance. Cubify turns your images into an audio-responsive, 3D cluster of pixel-art-esque cubes. Using the audio streaming into it each cube can be stretched, spun and shifted independently. This powerful device allows you to animate what was once-static; logos, cartoon characters, cats… just drag and drop! reTex seems like a simple device at first; it’s a 2D plane covered by any image you put on it; but dig deeper and you’ll realise how many essential visual techniques can be achieved with it. Slowly rotate reTex and the 3rd dimension it sits in can be dramatically revealed. Layer multiple instances of reTex and offset the textures at different speeds to get a simply parallax effect (commonly used in animations) to give your visual set depth and movement. Use the caleidoscope parameter to collapse any image into a constantly evolving and folding geometric patterns. 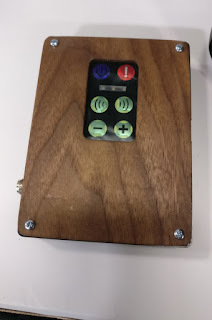 And of course, like all of Chris’ devices, the texture can be modulated by any incoming audio stream. 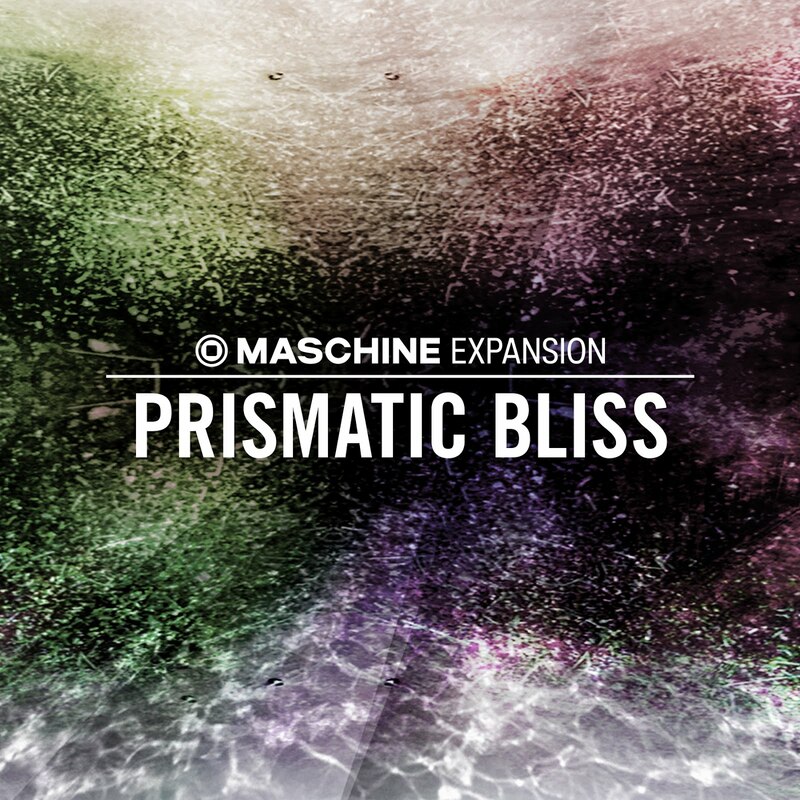 Berlin, January 23, 2016 – Native Instruments today introduced PRISMATIC BLISS – a new MASCHINE Expansion that picks up where HALCYON SKY left off, featuring textured sounds and atmospheres that reference early electronica. Incorporating field recordings, drones and layered sounds, PRISMATIC BLISS also contains exclusive PRISM and MASSIVE presets for more melodic elements. 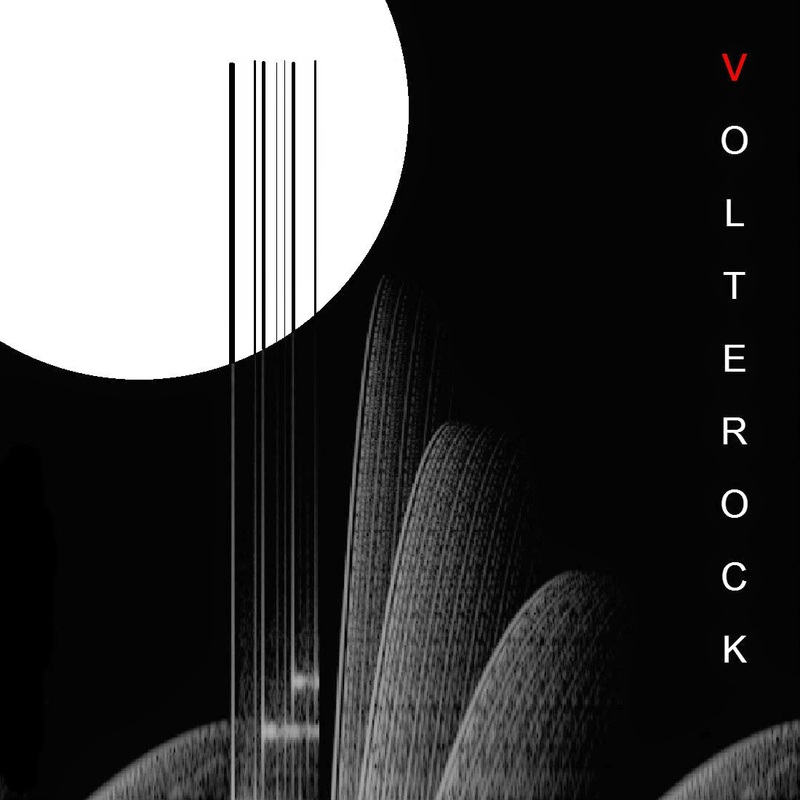 The Expansion is ideal for producers working in abstract and dark and melancholic styles, while also providing a rich and deep sound palette for left-field house and techno producers. PRISMATIC BLISS runs in the latest MASCHINE software on the entire MASCHINE hardware family and is available exclusively at the NI Online Shop. A compact version of PRISMATIC BLISS is also available as an iMASCHINE Expansion, for sketches on the go. Tracks can be exported to MASCHINE STUDIO, MASCHINE JAM, MASCHINE, and MASCHINE MIKRO for completion. PRISMATIC BLISS is available now at the NI Online Shop for $49 / 49 € / £44 / ¥ 6,280 / AU$ 79 and runs in the MASCHINE 2 software. 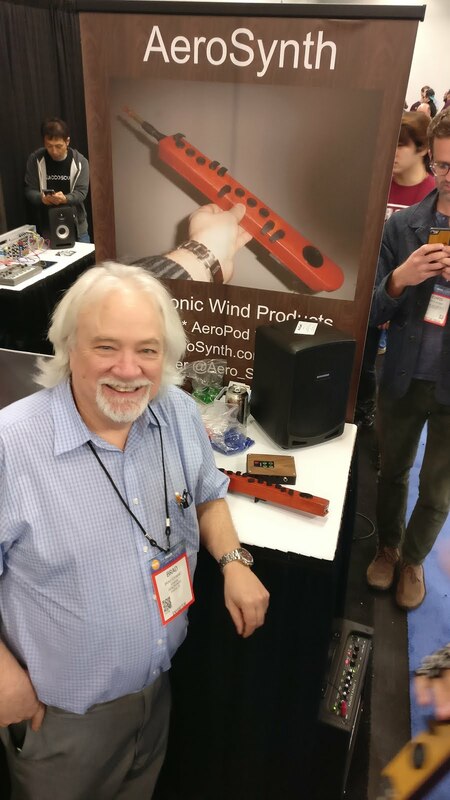 AeroSynth has introduced a new line of electronic wind instruments and accessories! The AeroSynthTM is >11 ounces and can be picked up and played without a computer or amplifier with its built-in speaker. It is very rugged and great for traveling musicians as well! AeroPodTM is for those who already own an electronic wind controller or instrument. It adds immediate portability, enhanced sound, and connectivity features. AeroPod is compatible with the Akai EWI-USB, EWI 4000, Yamaha WX5, Roland AeroPhone, and other MIDI/USB controllers. Both AeroPod and AeroSynth feature advanced wavetable synthesis technology, downloadable custom wavetables and firmware, and USB/MIDI and BlueTooth connectivity. An internal rechargeable Li-Ion battery provides many hours of continuous portable operation. Headphone/audio/line-out jacks supports headphones or external amplifiers. AEA created the new RPQ2 and RPQ500 Microphone Preamps! The NAMM Show 2017 is Here! The 2017 NAMM Show has begun! The show opened with a Breakfast of Champions with Music for Life Award Recipient, Robbie Robertson following a TEC Track Keynote: The Future of Audio Mastering. With some slight rain this year, attendance is still It closed with a few remarkable live acts including: School of Rock West LA, Alice Underground, and Elvis Monroe. The Dj Social also had its 2nd Annual event presented by Dj Tech, Innofader, ProX and many, giving away all sorts of prizes throughout the night with two stages of open decks for anyone to mix and scratch! Get the latest news on our instagram page! 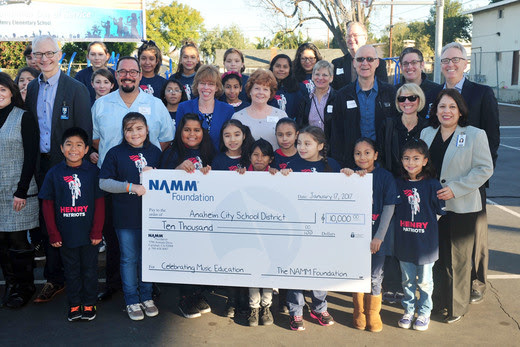 ANAHEIM, Calif. – January 17, 2017 – Earlier today, The National Association of Music Merchants (NAMM) Foundation and its member companies shared the sound of music with district and city officials and the students of Patrick Henry Elementary School in Anaheim, California as part of the organization’s Day of Service. Held in correlation with the annual NAMM Show, the global music products tradeshow, the service event celebrated the Anaheim Elementary School District’s (AESD) commitment to music education programs and, in collaboration with NAMM Foundation members and school and district officials, helped to further the district’s efforts to provide and enhance music education for all students through a monetary donation of $10,000. 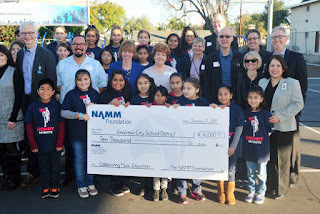 The donation was presented to Superintendent Linda Wagner and other school and city officials, before a crowd of elementary school students by NAMM President and CEO, Joe Lamond; NAMM Chairman Mark Goff; and NAMM Foundation Executive Director Mary Luehrsen. In 2014, the Anaheim Elementary School District launched a plan to reinstate its music education curriculum and orchestral program for its 18,500 students. In 2016, the district continued its hiring of new music teachers with a final goal of 28. In addition, the District’s Exploratory Wheel Model for Instrumental Instruction continues to expose students to a variety of musical options early in their education. 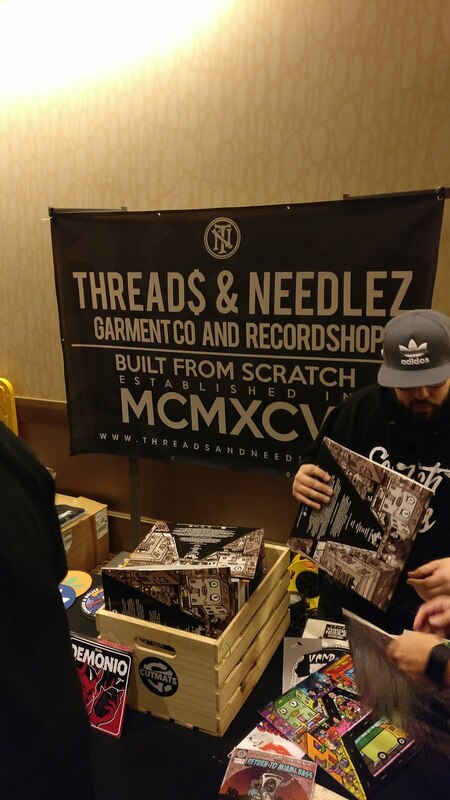 The NAMM Foundation’s Day of Service marks the start of activities for The NAMM Show, the annual gathering of 100,000 music products industry professionals. 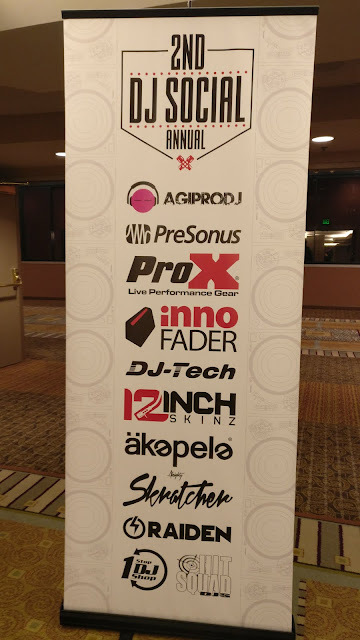 Held January 19-22 at the Anaheim Convention Center, industry leaders from around the globe gather to launch and preview new products from every category of music making and to unite in a common mission to create a more musical world. 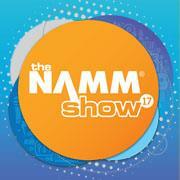 The NAMM Show is This Week! Join us digitally at the NAMM Show this week as we share with you all musical things, both new and innovative music gear, software, and live performances! Instagram See pictures directly from the show floor as it happens! January 2017 - IK Multimedia is proud to announce that Fender Collection 2 for AmpliTube is now available for Mac and PC from participating retailers worldwide, the IK Multimedia web store, and from the AmpliTube Custom Shop. Fender Collection 2 for AmpliTube provides spot-on tone, dynamics and feel thanks to the debut of the evolution of IK's industry-leading modeling technologies. It ushers in a completely new approach to analog modeling, Dynamic Interaction Modeling™, that recreates not only every individual physical component in the amplifier's design, but also the nonlinear behavior between each component and its effect on other components in the circuit. This approach provides a new unmatched level of realism, touch and feel never before realized in other analog modeled products. 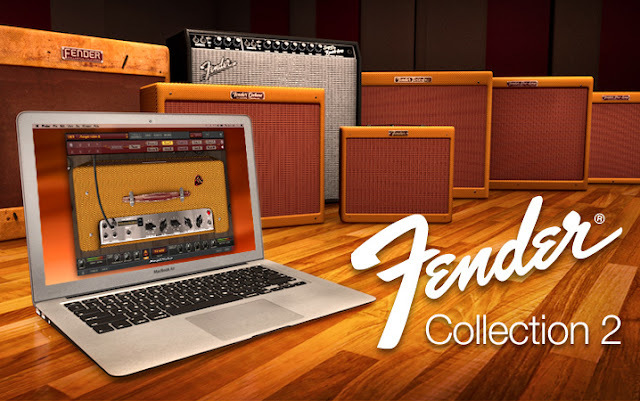 Fender Collection 2 for AmpliTube recreates the historic and diverse Fender legacy in virtual form. IK software engineers worked painstakingly with the Fender engineering team to ensure that each amplifier and cabinet has been rendered with the same degree of integrity and attention to detail that goes into the company's physical products - all controls and operation have been replicated to provide exacting performance and function. The amplifiers and cabinets available in Fender Collection 2 for AmpliTube include officially certified models from the '57 Custom series, including the '57 Custom Twin-Amp, the '57 Deluxe, the '57 Custom Champ, the '57 Custom Pro and the '57 BandMaster. There's also a model of an original '53 Bassman 1x15 featuring an "aging" switch that switches between "new old stock" and a "burned in" model, plus an original '65 Super Reverb. Fender Collection 2 within AmpliTube Custom Shop and AmpliTube 4 for Mac and PC giving players the world's best-selling ultimate guitar and bass tone studio for their recordings. For AmpliTube 4 users, it is designed to take advantage of all the additional tone-tweaking features like the effects slot between the amp and speaker cabinet and the hyper realistic full-featured "Cab Room" and more. Fender Collection 2 for AmpliTube is available now through January 15, 2017 for a special introductory price of just $/€99.99* from the IK Multimedia online store, the AmpliTube Custom Shop and participating IK retailers. After January 15, 2017, it will be available for $/€149.99. Fender Collection 2 is also available in the Fender Collection 2 Power Duo Bundle (with AmpliTube 4) at a special introductory price of $/€179.99 from the IK Multimedia online store until January 15, 2017. After January 15, 2017, it will be available for $/€229.99. Simply select the notes you want to edit and then choose your Modulator Option and dial in the variables, it's so simple even i can do it! Transform stretch: Stretches all or selected notes by multiplying or dividing their positions and lengths to a custom value. The note lengths can be ignored. Quantize time: Quantizes all or selected notes to the current grid. Additionally to the default quantization note end positions or lengths (relative to start position) can be quantized as well. Amounts and rounding rules can be set to minimize quantization errors. Quantize scale: If a scale is active (settings) the pitch of all or selected notes will be quantized to fit the scale. Chord inversion: This modulator will go through chord inversions to get as close as possible to a custom MIDI pitch value. This also works with microtonal scales. Utility pitch limit: All or only the selected notes will be transposed (per octave by default) to fit into a custom pitch range. Microtonal scales are also supported. Utility velocity limit: Limits the velocity of all or selected notes to a custom range. Curve options are available as well. Utility seamless loop: Finds notes that are overlapping with the start and end positions of the clip or the time selection and copies them to the other side to create a seamless loop. Selection (Pitch / Velocity / Clip / Random): The Selection modulators will select or deselect notes. You can replace, add, subtract and intersect similar to picture manipulating applications. Anaheim, Calif., January 10, 2017 – Studio specialist Neumann.Berlin announced its role as a lead sponsor for the 2017 She Rocks Awards, hosted by The Women’s International Music Network (WiMN). The awards ceremony, to be held during the 2017 NAMM show in Anaheim, Calif. on January 20th, is in its fifth year and pays tribute to women who display leadership qualities across a diverse range of roles within the music industry. Rebecca Eaddy, marketing communications manager for Roland Corporation U.S.
WiMN and Neumann are also sponsoring a panel discussion on women in the music industry, entitled ‘Women in the Music Industry Sound Off’. The event will feature distinguished panelists including WiMN Founder Laura B. Whitmore; Producer Julie Kathryn (aka I Am Snow Angel) Fabi Reyna of She Shreds Magazine; Karrie Keyes, Engineer for Pearl Jam; and Dawn Birr, Commercial Manager, Audio Recording, Sennheiser. The panel will be held on Sunday, January 22, from 3:00 p.m. to 4:00 p.m. at the Anaheim Convention Center, NAMM Idea Center (Level 1 Lobby). The first Sound Girls NAMM Mentoring Session strikes a similar vein: On January 19, between 6:30 p.m. and 9:30 p.m., Karrie Keyes of SoundGirls.org and Heather Rafter of RafterMarsh will host this session that will also include Dawn Birr among many other prominent women industry leaders. 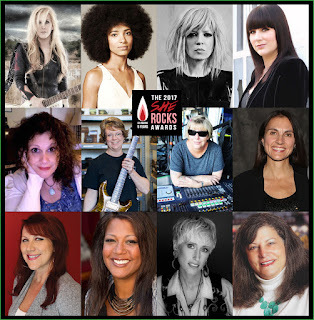 To learn more about the She Rocks awards ceremony, visit sherocksawards.com. For more information on the NAMM U panel Women in the Music Industry Sound Off, please visit: https://www.namm.org/nammu/women-music-industry-sound-double-session. To learn more about the Sound Girls NAMM mentoring session, visit soundgirls.org. (Los Angeles, California) GearSecure (www.gearsecuremusic.com) a newly launched company from Los Angeles, California will introduce patented technology designed to be the first embedded anti-theft device for musical instruments and other assorted gear at NAMM 2017. The technology provides a bridge between RFID and GPS technology providing help in instant recovery of lost or stolen gear. 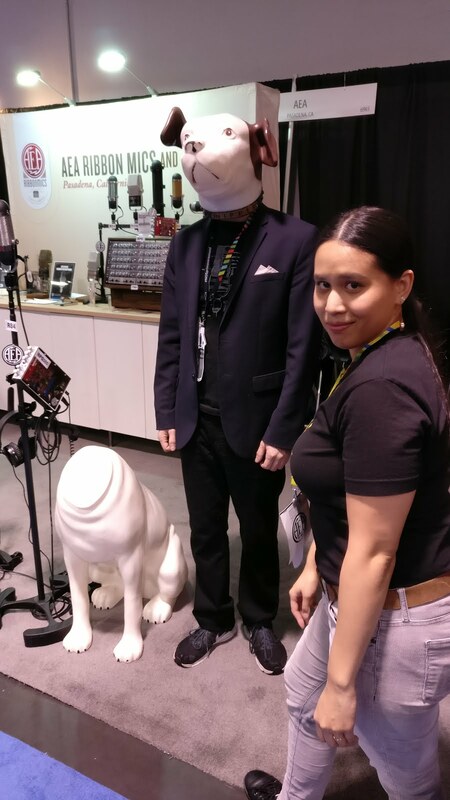 Demonstrations and inquiries can be made by visiting Hall D, Booth 2382. The company’s stated goal is “the end of lost or stolen." 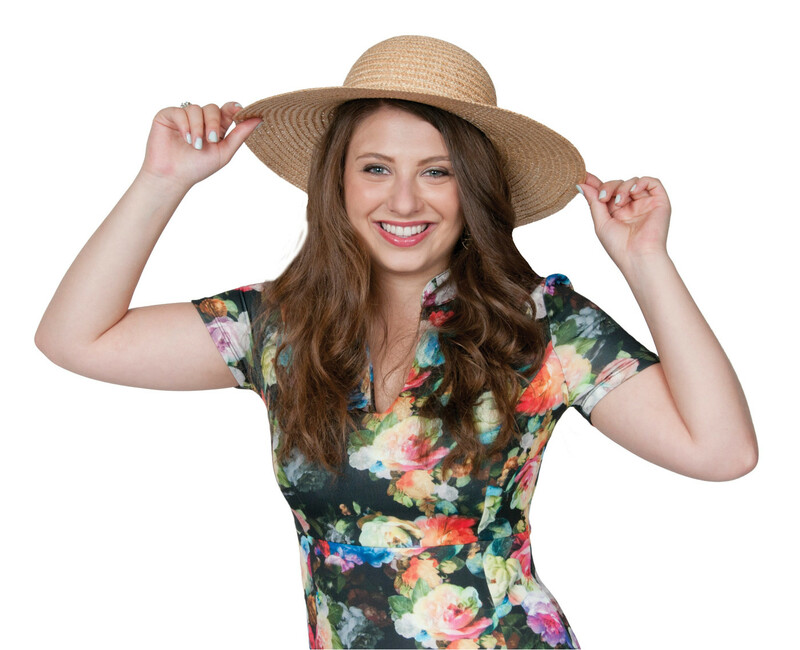 The company was started by Adam Mandel, one of the producers of the long-running live music show Ultimate Jam Night (www.ultimatejamnight.com). Mandel has enlisted the core team of musicians and others that turned Ultimate Jam Night into an internationally-known program. That team includes Quiet Riot bassist Chuck Wright; Drummer Matt Starr who has played with Ace Frehley and Mr. Big; Walter Ino of Survivor; Ira Black of Attika 7 and Westfield Massacre; and other musicians including Alex Kane of LSD and AntiProduct, and independent artist Brad Jurjens among others. These musicians will work alongside key manufacturers in the installation of the first industry device designed to be embedded at the point of manufacturing. Additional applications are designed for professional Luthiers and installers, tour management, and backline rental companies. Management of GearSecure includes an interdisciplinary group of seasoned individuals with experience in international business including Robert Rich III, founder of Roar Logistics who is also an active musician. “As someone who’s been involved in live music for many years, I’ve seen the devastation of instrument theft or loss first hand” said, Mandel. “After seeing a continuous stream of social media posts lamenting the daily theft of gear I looked into a bit more. What’s shocking is that in the U.S. alone, 1 Million instruments are stolen each year, and only 3% are recovered. I am committed to changing that statistic as quickly as possible” said, Mandel. The GearSecure technology involves a small self-contained unit that provides a twenty year life span with GPS utility and RFID accuracy. The unit is designed to be hidden in gear and then synced with mobile devices, tablets, or personal computers. Individuals (or groups) can set a pre-determined perimeter that when breached instantly sends an alert to a selected device. Once alerted, the user can select a “track” mode which will allow the user to follow the path of the missing gear. If necessary, authorities can be instantly alerted for recovery. The technology will be offered to consumers at a yearly subscription price of $19.95 retail, which is far below typical yearly insurance and replacement rates. Designed to be embedded and offered with new gear, the technology will also be immediately available for Backline and Tour management inventory solutions, and will eventually be released for the aftermarket through a certified installer network. Real-time demonstrations as well as a technology review will be available at NAMM Booth 2382 Hall D, at NAMM 2017. For more information please visit www.gearsecuremusic.com. 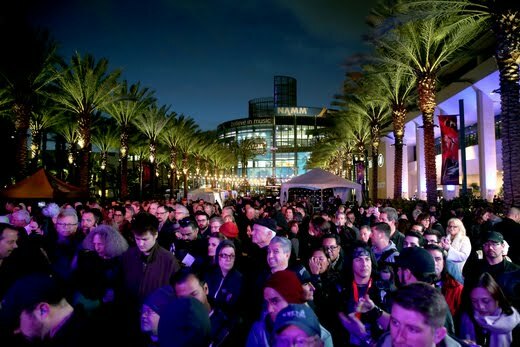 CARLSBAD, Calif. – January 3, 2017 – The 2017 NAMM Show is just around the corner, and with it, top musical acts are scheduled to rock The NAMM Nissan Grand Plaza stage. 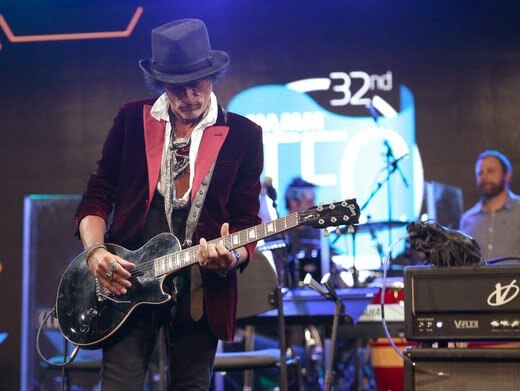 This year will bring a variety of performances from across the sonic spectrum, with each evening offering performances from rock legends, a pro-athlete and accomplished jazz musician, and an R&B legend, all in the spirit of musical diversity that can be found at The NAMM Show. Kicking off the show on Thursday night, January 19 is rock duo RSO: Richie Sambora and Orianthi. 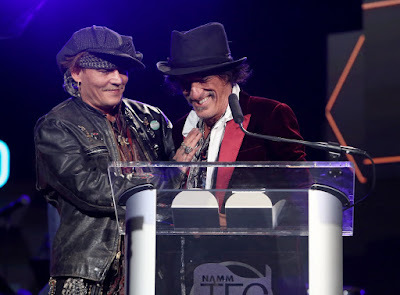 Each a respected guitarist in their own right, Sambora and Orianthi will bring their deft fret work and monster screams to the show, marking the duo’s first NAMM performance together. Grammy award-winner Sambora, also known for his passion for philanthropy, will offer up his world-renowned Songwriters Hall of Fame talent, addictive hooks and poetic lyrics. Platinum-selling guitarist Orianthi has enjoyed a career as a touring artist for the likes of Michael Jackson, Alice Cooper and many others, and was named by Elle magazine as one of the top “12 Greatest Female Electric Guitarists.” The pair have spent the past year touring the globe and will perform at The NAMM Show directly following a tour of the UK, Asia and Orianthi’s native Australia. On Friday evening, January 20, former center fielder for the New York Yankees, music education advocate and accomplished jazz musician Bernie Williams and his All-Star Band will take the stage to perform in The NAMM Foundation’s Celebration for Music Education. Williams, who enjoyed a 16-year career in Major League Baseball, is a classically-trained guitarist, Latin Grammy®-nominated (2009’s Moving Forward) musician and designated Turnaround Arts artist from the President’s Committee on Arts and Humanities. Williams and band will welcome fellow music and arts supporter, Turnaround Arts artist, singer, songwriter, and “Life is Beautiful” hitmaker, Keb’ Mo’, along with additional surprise performers throughout the evening. The NAMM Foundation’s Celebration for Music Education is designated to celebrate the many donors and supporters of the Foundation’s efforts and to encourage attendees to join in the organization’s efforts. On Saturday, January 21, The John Lennon Educational Tour Bus celebrates its 20th Anniversary with The John Lennon Imagine Party featuring Rock & Roll Hall of Fame inductees, Ronnie Spector and The Ronettes. As the “Original Bad Girl of Rock & Roll,” Spector is best known for a long string of classic “girl group” rock anthems such as “Baby I Love You,” “Walking in The Rain,” and the international number one smash, “Be My Baby.” The rock icon has charted material in six consecutive decades, and along the way collaborated with everyone from Jimi Hendrix and Bruce Springsteen, to Eddie Money, Joey Ramone and The Beatles. Ronnie and John Lennon first met in London during the Ronettes’ first U.K. tour in January of 1964, and in 1966, the group was personally chosen by The Beatles to open their final tour. From their first meeting forward, Lennon and Ronnie shared a close friendship with Lennon playing and singing on Ronnie's first solo recordings in 1971. The night will celebrate the Lennon Bus’ 20th Anniversary, the connection we share through music, and inspire those in attendance to continue to build a more musical world. 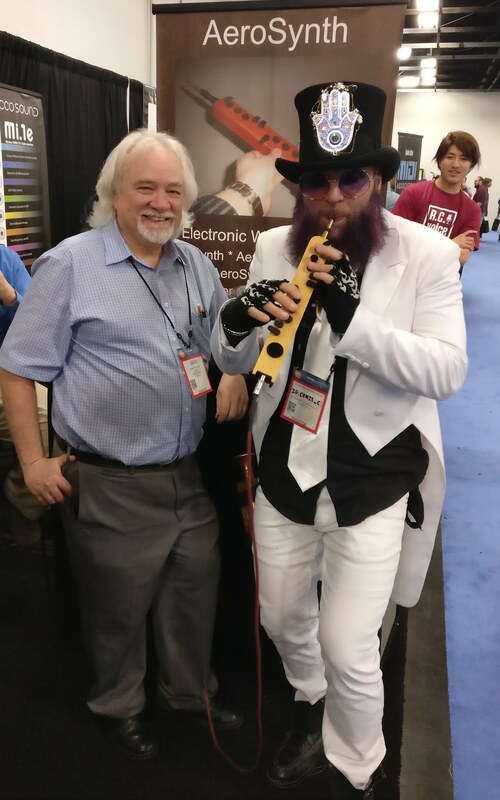 The NAMM Show gathers 100,000 members of the music product industry from around the world to preview new products from every category of music making. Register for badges to experience more than 6,000 music product, instrument and technology brands, special events and live entertainment. The free badge deadline is January 4, 2017, at 11:59 pm PST. Learn more about the NAMM Show at https://www.namm.org/thenammshow/2017.